This scheme is aimed at newly independent principal investigators appointed at University of Cambridge between 1st January 2015 and 31st January 2018. The primary aim of the scheme is to provide support for newly appointed individuals to allow them to develop projects which will lead to a full application for external funding (e.g. project grant from a Research Council or equivalent). The scheme is primarily aimed at individuals whose research falls within the Wellcome Trust remit. In addition, through partnering with the Isaac Newton Trust, the scheme also covers areas of research pursued within the Schools of the Biological Sciences and Clinical Medicine that would not be eligible for Wellcome Trust funding (for e.g. aspects of research in the Departments of Zoology or Plant Sciences). Research grants of up to £85,000 in total are available under this scheme for up to two years , starting between February – July 2018. Please note that your department is expected to provide one third of the project cost (of a total of up to £85k). 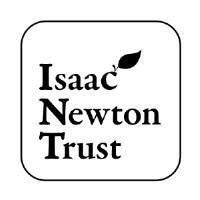 Successful applicants cannot apply separately to the Isaac Newton Trust for matching funding for their Joint Research Grant. Please send your application and supporting documents to researchstrategy@admin.cam.ac.uk. Call details and application form are to be found here.